Streaming music service Spotify announced today that it has 60 million paid subscribers to its premium offering. That is more than twice the amount of paying subscribers that Apple has for its Apple Music service. Both Spotify and Apple charge $9.99 for their top tier plans. Spotify does have a free ad-supported tier, which is something that Apple doesn't have. On the other hand, Apple Music does have a free 3-month trial for all new subscribers, which is something that its rival does not offer. 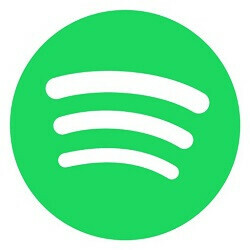 Spotify's premium service includes features such as no ads, the ability to play any song, and unlimited skips. The premium service also allows users to play music offline and to hear tunes in high-quality audio. Spotify has added 10 million new subscribers to its premium service since it announced last March that it had 50 million paying customers. Including those subscribers using the free tier, last month Spotify announced that it had 140 million members using its service. "Apple Music is the end of Spotify." Remember when folks were saying that? Netflix is bleeding money, tons of money, yet it doesn't worry as it knows its the leader in a segment that in the future can have unimaginably huge profits. In the future where literally everyone has that kind of service and normal tv of today dies. Same applies for Spotify. We are moving to music streaming future and in that future Spotify seems the clear leader. It only needs to stay afloat for couple of years before it passes its magical number of premium users and becomes profitable. Thats true about google and apple. And that only makes spotify better. Its one company doing one thing and it does it the best in the industry. Google and apple and amazon are diving into so many different things that its impossible for them to be the best at everything. That one business one focus thing gives spotify the edge to be the best. About profits, they will come, investors will keep investing in it. They all know in the next decade most of the western world will stream music through these services. There is a huge difference between Netflix and Spotify. Netflix was able to shift to doing original contents whereas spotify can't or have not. All their competitors have the same catalog, music streaming is a commodity at this point and at some point the money will run out. The biggest thing spotify does not and everyone needs in tech is scale. Their costs is fix, it does not go down the more people that sign up for their streaming service. Music streaming is just a bad business if you hope to turn a profit. Spotify is currently racing to an ipo so their investors can cash out and the regular folks that do buy the stock once they ipo will eventually hold the bag with no profits in sights. It's the reason why they are given premium accounts left and right with everything you buy. I've been a premium subscriber for over two years now without paying a dime (courtesy of my carrier). The moment my carrier stop offering me that free service is the moment I will move away from it and go the Google play route, since that comes with youtube ad free and youtube red. That's a better value. I just don't see how they survive after they ipo when their costs is fixed and they can't get a better deal than the rests of their competitors who can run theirs as a lost leader for years and decades. I love spotify. Tried Apple music but switched back to spotify even before my 3 month trial ended. Apple will catch up soon and surpass spotify... Just wait and see... Once Apple Music gets unique exclusive content soon in the near future it'll demolish every other streaming service. For non-iOS and non-MacOS users, what is the attraction to subscribe to Apple Music? The answer is nothing. Tidal had TONS of exclusive content and on contrary it did nothing for it. Only thing that keeps apple music alive is the fact its pre installed on all iphones. Put spotify pre installed an all samsung phones and I can guarantee you it would double its premium users within a year. What none of you are paying attention to is how long can spotify continue to bleed money? For some reasons you think Apple music, Google Play music and Amazon music are competing against spotify. Those services are there to keep their users on their respective platforms that it. They are lost leaders for those companies and can go for decades without making a dime. That is not the case with Spotify can easily be bought by all those guys (Apple, Google, Amazon) without breaking a sweat. Ask yourself why haven't they done it? Spotify is a good service, but they are bleeding money, it's a ten year old company, it's no longer a starup which is why they have been given away those premium accounts like there is no tomorrow in order to justify the ipo price. Once those angel investors cash out during the ipo, then we will see how the price of the stock will crash. Their costs is fix, they do not own their contents and scale does not bring their costs down, it remains steady. They are at the mercy of the music labels, and whatever deals they get, their competitors will to.